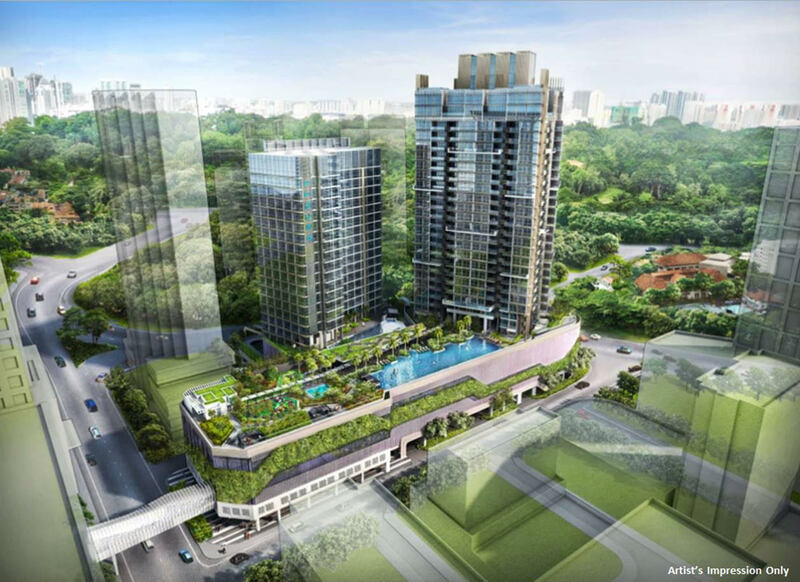 Cairnhill Nine is a new launched integrated development by CH Residential Pte Ltd & CH Commercial Pte Ltd. The project is located at Cairnhill Road/Bideford Road, in prime District 09 Singapore, right in the center of Orchard Road. Occupying a land size of estimated 114,355 sqft, the 99 years leasehold Cairnhill Nine is integrated with renowned Ascott Hotel. The 20-storey hotel has a hotel of 220 hotel rooms. Furthermore, the residents of the residences can enjoy a direct link bridge to Paragon shopping mall. The residential building will be 30-storey with ancillary facilities. There will be a total of 268 residential units with sizes vary from 1 bedroom units (from 592 sqft) to 4 bedroom units (from 1528 sqft). 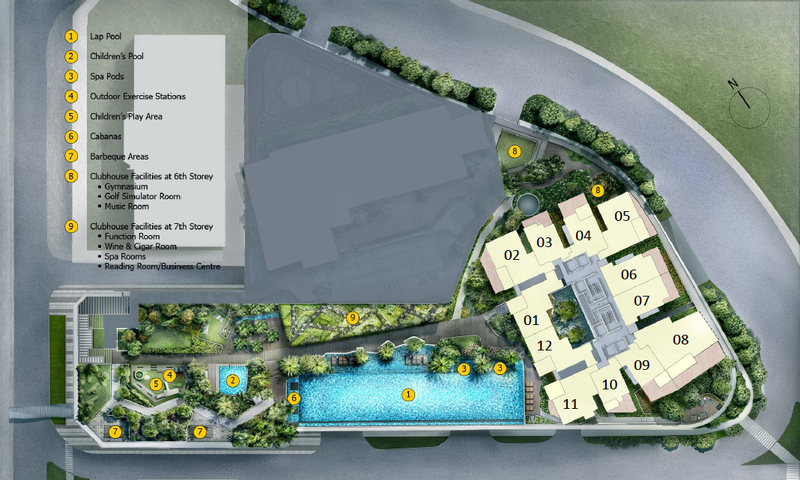 There are also 8 exclusive penthouses with sizes ranging from 2,400 to 3,864 sqft. Cairnhill Nine is one of the most sought after address in Singapore, located right in the heart of world famous Orchard Road. The development is within a short walking distance to 2 MRT stations, Orchard MRT Station and Somerset MRT Station and surrounded by shopping malls showcasing luxurious brands around the world. Apart from satisfying your entertainment needs, Cairnhill Nine is also in close proximity to the first class medical facilities at Mount Elizabeth Hospital, Mount Elizabeth Medical Centre and Paragon Medical Centre. Following the government aim to transform the country into Asia’s leading destination for advanced medical care, a location like Cairnhill Nine will appeal to overseas owners or tenants seeking for long term medical assistance in Singapore and medical professionals. International patients come to Singapore each year for a whole range of medical care from health screenings to high-end surgical procedures in specialties such as cardiology, neurology, oncology, ophthalmology, organ transplants, orthopaedics, and paediatrics. With well-respected doctors trained in the best centres around the world, internationally-accredited hospitals and speciality centres, medical travellers to Singapore can be assured of quality treatment. For foreign families with school going children, there are also several international schools in the vicinity like the Chatsworth International School, Overseas Family School and Finnish Supplementary School. Cairnhill Nine future residents can enjoy communal facilities like swimming pools, barbecue areas, children’s play area, outdoor exercise stations and an extensive clubhouse. The 2 storey clubhouse comprises a gymnasium, golf simulator room and music room on the lower storey and function room, wine & cigar room, spa rooms and reading room/business centre on the upper level. All units will come with marble with matching skirting. Quality kitchen cabinets will be installed, complete with quartz stone and/or solid surface worktop. White goods like electric hob, electric hood, combi microwave oven, coffee machine, refrigerator, combi washer/dryer will be provided. Larger units will come with gas hob, wine chiller, dishwasher, oven and warming drawer. Master bedroom for Types E, F & G will also have a integrated mirror wall panel with concealed TV. Audio-video intercom provided in each unit and electronic door lockset will be installed in all unit main entrance door. There will also be card access control system for residents at lift lobbies and security surveillance cameras to selected common areas. The Ascott Limited is a Singapore company that has grown to be the world’s largest international serviced residence owner-operator. It has over 26,000 operating serviced residence units in key cities of the Americas, Asia Pacific, Europe and the Gulf region, as well as over 16,000 units which are under development, making a total of close to 43,000 units in over 270 properties. The company operates three award-winning brands – Ascott, Citadines and Somerset. Its portfolio spans 95 cities across 27 countries, 27 of which are new cities in Ascott’s portfolio where its serviced residences are being developed. Ascott’s properties can be found in cities including London, Paris, Brussels, Berlin and Barcelona in Europe; Singapore, Bangkok, Hanoi, Kuala Lumpur, Tokyo, Seoul, Shanghai, Beijing and Hong Kong in Asia; Melbourne and Perth in Australia, Bangalore and Chennai in India as well as Dubai, Doha and Manama in the Gulf region. Ascott, a wholly owned subsidiary of CapitaLand Limited, pioneered Asia Pacific’s first international-class serviced residence with the opening of The Ascott Singapore in 1984. In 2006, it established the world’s first Pan-Asian serviced residence real estate investment trust, Ascott Residence Trust. Today, the company boasts over 30 years of industry track record and award-winning serviced residence brands that enjoy recognition worldwide. For more information on Cairnhill Nine, simply fill up your details below and our salesperson will get in touch shortly!